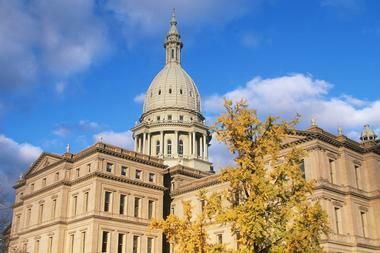 Lansing, Michigan is filled with fun and educational activities for travelers of all ages. Young visitors enjoy checking out the state capitol building, visiting the Michigan Historical Museum, and getting a hands-on science education at the Impression 5 Science Center. 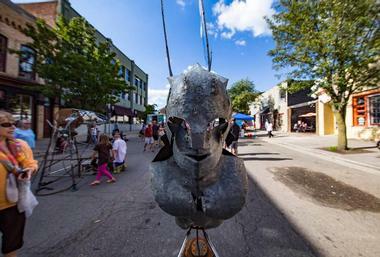 For adults, Lansing offers an array of art galleries, theaters, restaurants, museums, historical sites, shopping centers, and sporting events. 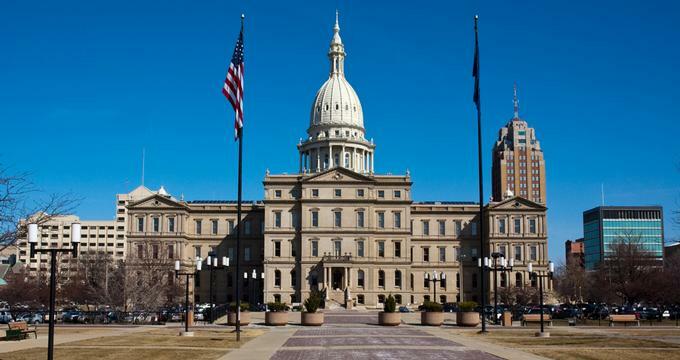 Here are the best things to do in Lansing. Renowned architect Elijah E. Myers designed the Michigan State Capitol building. Erected in 1879, it holds a unique spot in history as one of the first capitol buildings in America to feature a cast iron dome. The building underwent an extensive renovation process in 1992 and received its designation as a National Historic Landmark in the same year. The exterior of the capitol building received a makeover in 2015. Upwards of 115,000 people tour Michigan's capitol building every year. Guests can walk through the building on their own or join an informative guided tour. 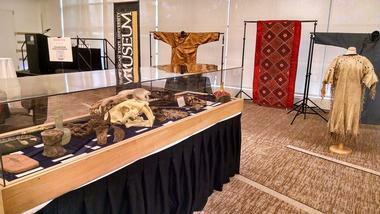 The Michigan History Center is filled with unique exhibits that detail Michigan's past. The museum has a gallery dedicated to the early European explorers who explored and founded Michigan, and there is a Civil War exhibit that contains all sorts of mementos from the 19th century conflict. Michigan's role in the Underground Railroad and the anti-slavery movement is also displayed through artifacts, written works, and paintings. In the 1950s gallery, guests can learn all about Michigan's claim to fame as the nation's hub for automobile manufacturing. Lastly, visitors can stop by the atrium to see a three-story tall topographical map of Michigan. In some parts of the Michigan History Center there are costumed interpreters available to teach young visitors about Michigan's interesting past. More than 160 species of animals live at The Potter Park Zoo in downtown Lansing. The 20-acre zoo is divided up into exhibits with mammals, reptiles, and birds. The zoo is known for its dedication to preserving endangered species. 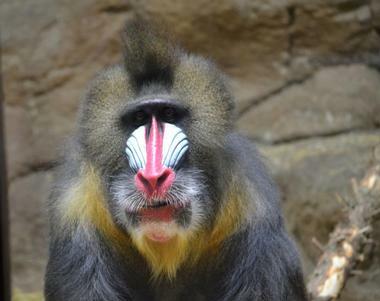 Amur Tigers, Red Pandas, Snow Leopards, and Tamarin Monkeys are some of the unique animals that the Potter Park Zoo protects. The zoo also runs a robust wildlife education program that helps visitors learn about wildlife through entertaining events and classes. The zoo also hosts summer camps, overnight campouts, and field trip programs for young people. Potter Park Zoo is open daily year round. 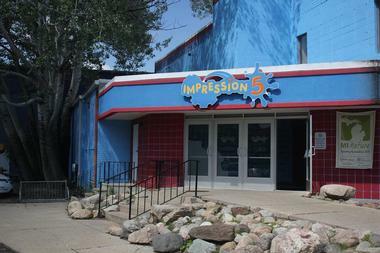 Impression 5 Science Center is an interactive science education facility for families. Opened in 1972, the center receives more than 120,000 visitors each year. Exhibits at Impression 5 are meant to engage each of the five senses. The 25,000-square-foot exhibit area contains more than a dozen stations where guests can benefit from hands-on science experiences. There is also a chemistry lab where trained employees present entertaining workshops. 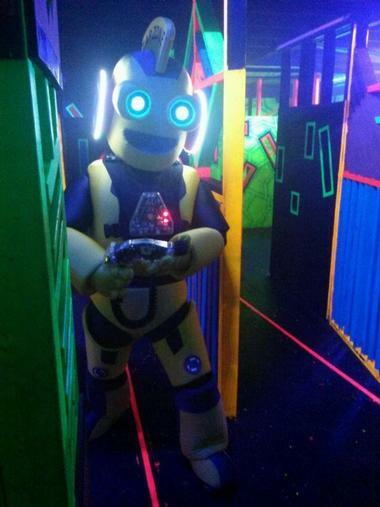 Staff members at Impression 5 regularly work with school groups through tours, summer camps, and overnight programs. Parts of the science center can be rented out for birthday parties and other types of special events. The R.E. Olds Transportation Museum is filled with unique exhibits regarding the Oldsmobile, an iconic American car that began as the Oldsmobile Steam Carriage. 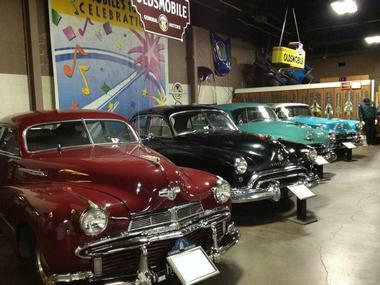 The museum contains thousands of authentic items from 1886 on, including more than 60 Oldsmobile vehicles. R.E. Olds, an accomplished inventor and designer, also came up with plans for an engine that was eventually used in lawnmowers. The Talbert and Leota Abrams Planetarium, known simply as the Abrams Planetarium, is located on the campus of Michigan State University. This impressive space science center is managed by the school's Department of Physics and Astronomy. The planetarium allows visits from school groups of all levels on weekdays, and special shows for the public are held on weekends. During these shows, visitors get to sit in an auditorium with a dome-shaped ceiling and learn about stars, planets, constellations, and other celestial bodies. After the show ends, they can view the night sky through the planetarium's high-powered telescopes if weather conditions are good. The Lansing River Trail winds its way past 19 city and county parks, three museums, two rivers, a creek, a farmer's market, and a zoo. The 13-mile trail is perfect for walkers, joggers, bikers, and rollerbladers. The trail surfaces are varied, with some paved portions as well as wooden boardwalks and bridges. The Lansing River Trail is divided into three major sections. The first two sections offer an abundance of museums, shops, restaurants, and art galleries, while the last and newest section of the trail passes through mainly wetlands and woodlands. Near its end, the Lansing River Trail connects with the Lansing Pathway as well as the Sycamore Trail. 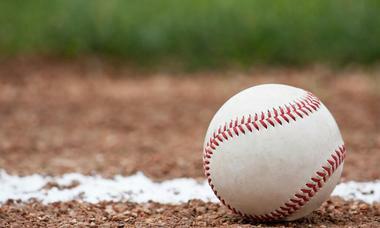 Jackson Field at Cooley Law School Stadium is home to the Lansing Lugnuts, a popular minor league baseball team. Completed in 1996, the Cooley Law School Stadium was built entirely by local contractors. These workers put more than 60,000 hours into the design and construction of the structure. The stadium boasts 20 luxury suites, six full-service concession stands, a handful of offices for management as well as "Nuts and Bolts," the main retailer for the Lansing Lugnuts team. The store is open to serve fans year-round. The Cooley Law School Stadium also prides itself on being one of the most accessible stadiums in the nation for people with physical disabilities. 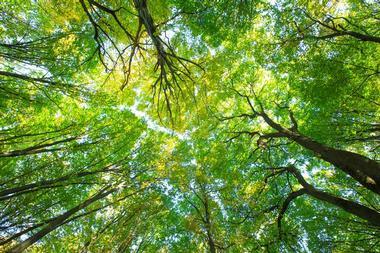 For more than 50 years, the Fenner Nature Center has helped educate Lansing residents on the importance of environmental conservation. The 134-acre park includes four miles of trails. At the onsite visitor's center, guests can view all sorts of live reptiles and songbirds as well as deer and wild turkeys. There are also hands-on exhibits in the visitor's center for children. School programs, scouting programs, and fun public events are held there regularly as well. Pets are allowed to accompany their owners on the trails at Fenner Nature Center as long as they are kept on a leash. The park is open from dawn to dusk each day. The Turner-Dodge House is a mansion that dates back to 1855. Constructed for James and Marion Turner, the home exhibits the Classic-Revival style of architecture. It was one of 260 structures designed by local architect Darius B. Moon, who made a name for himself as a self-educated poet, artist, and craftsman. The home was listed on the National Register of Historic Places in 1972 under the name of Dodge Mansion. The 9-acre site now contains a museum that shares the stories of important people from Lansing's past. The Woldumar Nature Center is an environmental education and conservation facility managed by the Woldumar Nature Association. The 178-acre nature center features Moon Log Cabin, a well-preserved wooden structure known to be one of the oldest homes in Eaton County. 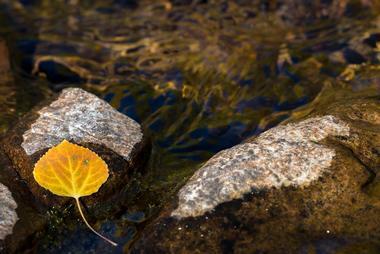 The park contains five miles of trail, including a 1.25-mile stretch that bumps up against the scenic Grand River. Open year-round, the trails are perfect for hikes in the summertime and ideal for cross-country skiing and snowshoeing trips in the winter. There is no entrance fee for the Woldumar Nature Center, but management appreciates a donation of $2 from each guest. 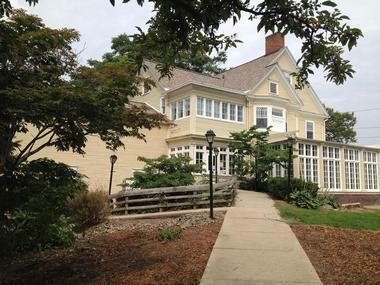 The Michigan Women's Historical Center & Hall of Fame is managed by the Michigan Women's Studies Association (MWSA), an organization founded in 1973 at Michigan State University. In 1980, MWSA set out to establish a center dedicated to honoring powerful and influential women. The first of its kind, the women's historical center was opened on June 10, 1987. The center features a variety of interesting exhibits. In the Hall of Fame, visitors can learn about the lives of nearly 300 historical and contemporary Michigan women who have made significant contributions to politics, business, education, medicine, human rights, and other areas. Admission is $3 for adults and $2 for students. Open year round, the Lansing City Market welcomes visitors of all ages. The market was first established in 1909. Today, more than a dozen vendors sell their products and services in the popular venue. Market guests can rent kayaks or canoes for adventures on the Grand River. Vendors sell all kinds of beer, wine, produce, treats, baked goods, and specialty foods. In addition to shopping, the Lansing City Market hosts family-friendly blues and jazz concerts during the summertime. On certain days of the week, students and senior citizens can get special deals on market goods from participating vendors. The 9/11 Remembrance Memorial is located in Remembrance Plaza. The memorial features several American flags as well as a 10-foot tall 980-pound I beam from one of the towers destroyed by terrorists in the September 11th, 2001 attacks. The three sides of the memorial represent New York, Pennsylvania, and Virginia, the states that were directly impacted by the tragedy. The fourth side contains a dedication statement from the Lansing community. 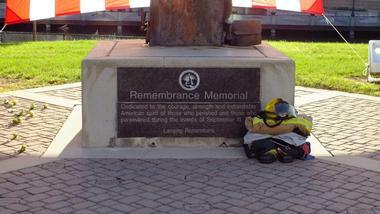 The monument was dedicated on September 11th, 2002, and it sits at the edge of Wentworth Park along the Grand River. The Michigan Princess Company operates three classic steamboats with ample space for parties, meetings, and other special events. 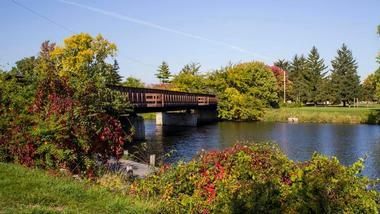 The company regularly hosts fun concerts and luncheons on the Grand River, and anyone can attend for a small fee. Additionally, the Michigan Princess Company rents out its three watercraft (the Riverboat, Detroit Princess, and Grand Princess) for special programs and events, including class reunions, sorority and fraternity parties, proms, and weddings. The company caters the events and provides enough space on the boats for up to 450 guests. 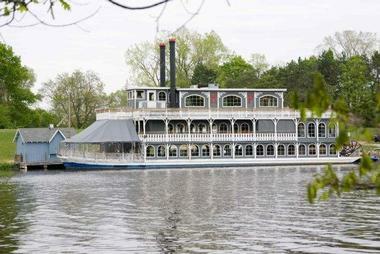 All of the steamboat cruises depart from the dock at Grand River Park. 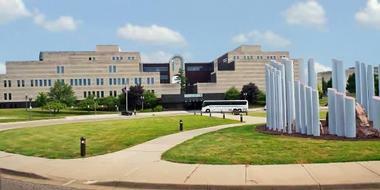 The Lansing Sculpture Walk is located on the campus of Lansing Community College. Nearly 30 unique sculptures by various artists are situated throughout the LCC campus and surrounding areas. LCC staff, students, and alumni designed each piece on the campus. Some of the most iconic pieces include the Education and Community Sculpture, a 30-foot-tall red ribbon located at the Arts & Science Building, and the Elementary Display, a collection of massive number two pencils that sit outside of the Early Learning Children's Community building. All of the sculptures are free for public viewing at any time. 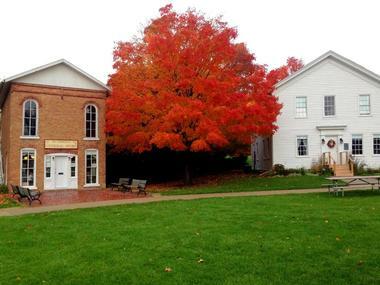 The Meridian Historical Village is a beautiful park just outside of Lansing in Okemos, Michigan. Managed by the Friends of Historic Meridian, the village contains a collection of well-preserved homes and shops. There is also a historic school building that local teachers can rent out for up to one week. Lastly, there is a quaint white chapel that is suitable for weddings with up to 100 guests. It is also available to the public for other special events, including memorials and performances. 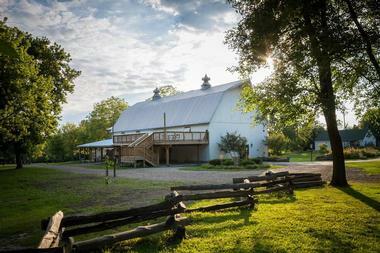 All of the buildings in the village are open to guests from 10 AM-2 PM daily. The Museum at Michigan State University got its start in 1857. It is one of the oldest museums in the United States and a member of the American Alliance of Museums. With a collection of close to one million artifacts and documents, the MSU Museum was the first in the state to receive Smithsonian affiliate status from the prestigious Smithsonian Institution. In addition to its intriguing exhibits, the museum is frequently recognized for its research endeavors, its educational programs, and its longstanding partnerships with local organizations. The museum is open daily year round with the exception of holidays and special university events. 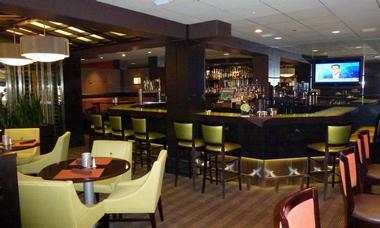 The State Room Restaurant, located on the campus of Michigan State University, is an upscale restaurant and lounge that boasts an extensive wine list. The restaurant received Wine Spectator's 2016 Best of Award of Excellence for its impressive collection of fine wines. With a seasonally changing menu and an emphasis on using the best ingredients available, the State Room Restaurant is known throughout Lansing as a top choice for fine dining. The restaurant is located inside the Kellogg Hotel and Conference Center at MSU, and table reservations can be made online. The Michigan State University carillon is housed in Beaumont Tower, a distinctive structure built in the early 1900s. The carillon inside is a musical instrument that was developed in the 15th and 16th centuries. 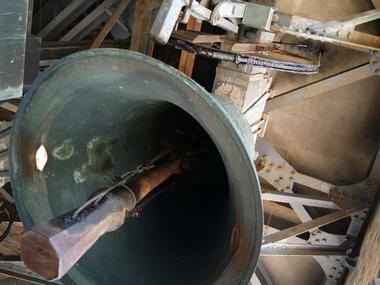 Rooted in European history, each carillon has at least two octaves of carillon bells. The MSU has 49 bells. The first 10 bells were installed in 1928, another 13 bells were added in 1935, and subsequent bells were added up until 1996. During the MSU Summer Carillon Series, visitors can hear all sorts of songs from local carillonneurs as well as guest performers. The concerts are open to the public for free. Hawk Island Park features a paved 1.5-mile trail, a beach for swimming, a picnic area, a splashpad, and a fishing dock. There is also a concession stand, a community-built playground, and a store where guests can rent paddleboats and rowboats. In the game area, visitors can play a game of volleyball or enjoy a round of horseshoes. Dogs are not allowed in the park unless they are on a leash; however, the pet-friendly Soldan Dog Park is adjacent to Hawk Island Park. For winter guests, the park has plenty of space for tubing and sledding. Hawk Island Park is the newest recreational area in South Lansing, so all of its facilities are clean and up-to-date. The park is open year round for a small fee.